Disney movies have inspired millions of little princesses. Compelling stories told on the big screen, can have a lasting effect on the families that watch them. How do you think Finding Dory will inspire your children? It is unlikely that they will be inspired to become fish. Instead, children may become fascinated with sea creatures and marine life and want to learn more about it. A movie like Finding Dory may even inspire your child to become a marine biologist, but this depends somewhat on how their fascination is supported and encouraged. After hearing about the release of Finding Dory, author Monika Mira was inspired to write and illustrate a book that offers factual information about the marine life that the characters are based on. 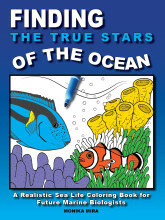 Finding the True Stars of the Ocean is an educational sea life coloring book that is written for kids that are interested in becoming marine biologists or that simply wanting to learn more about these species. There are no bubble-eyed cartoon characters in this coloring book. Instead, Mira uses more realistic illustrations of marine life in its natural environment. 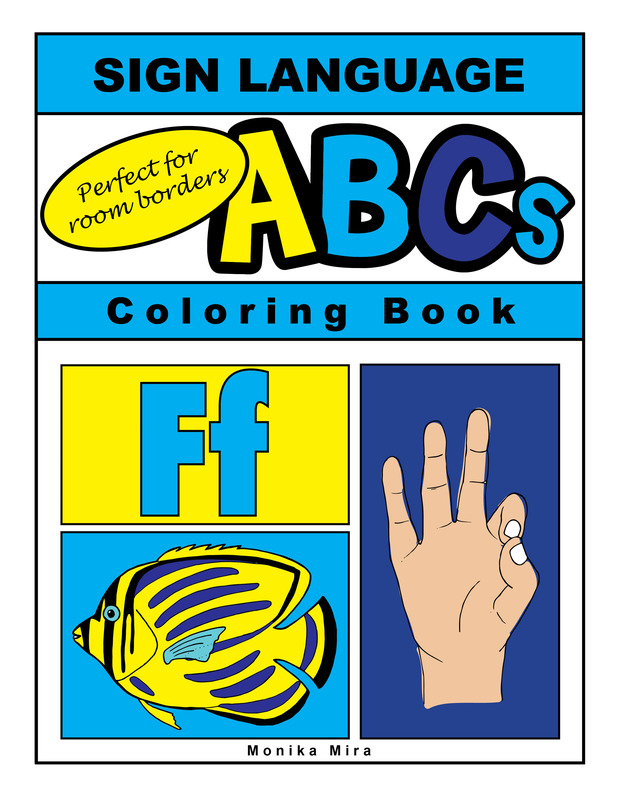 Accompanying the colorable illustrations are fact sheets, where kids can learn about each species, their anatomical features, feeding habits, and their role in the ecosystem. Being concerned with issues like overfishing and collecting for the aquarium trade, Mira also includes one-page articles on these topics. Marine ecosystems like the coral reef and the kelp forest are also introduced to children along with tips on reef etiquette and conservation. Mira has won numerous awards for her educational coloring books, but it is not the awards that keep her going. She is driven to help educate families about the importance of marine life conservation, and inspire children to take action and become stewards of our ocean resources. 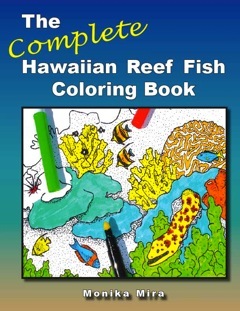 Lucid Publishing offers a variety of books, coloring books and other publications that educate children and families about marine life, and the importance of conservation. 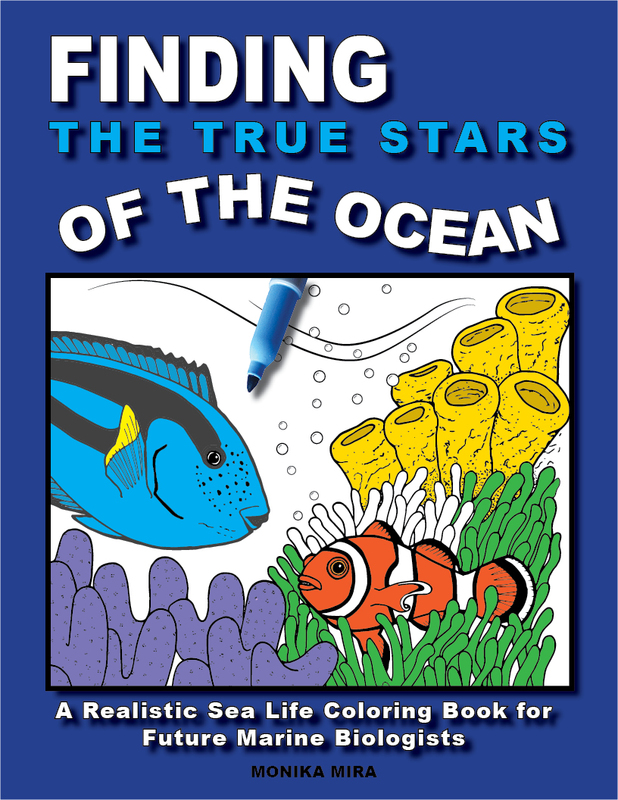 “Finding the True Stars of the Ocean is in the last stages of publication and we are hopeful that it will be released by the end of July,” says a Lucid Publishing representative.